His photos, recently published online, have sparked lots of joking remarks from social media users. 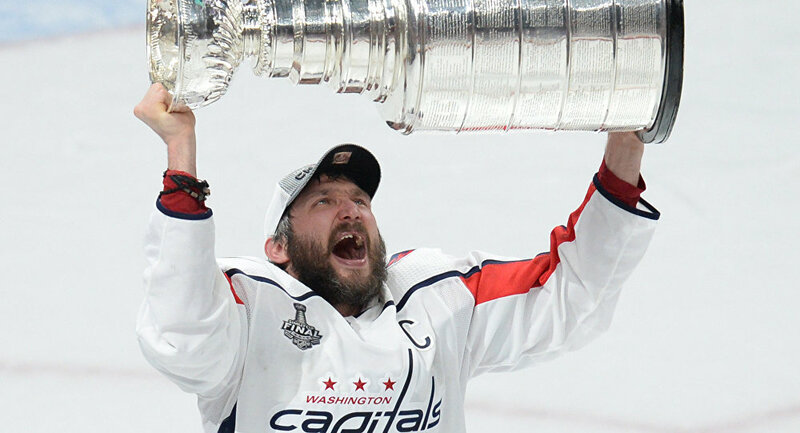 Washington Capitals team captain Alexander Ovechkin has posted pictures on Instagram where he is lying in bed, embracing the long-awaited Stanley Cup. The pictures went viral, sparking numerous comments from Internet users who jokingly noted that the athlete grasps his trophy even while he sleeps. — Я дико извиняюсь (@traktor_bang) 10 июня 2018 г. — Подслушано — хоккей (@slysh_hockey) 10 июня 2018 г. — Я дико извиняюсь (@traktor_bang) 9 июня 2018 г. The Washington Capitals won their first Stanley Cup trophy in the history of the club's franchise with a 4-3 victory over the Vegas Golden Knights on Thursday in Las Vegas.